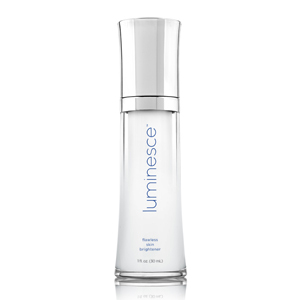 The cellular rejuvenation serum is part of the LUMINESCE™ line, and is made using patented stem-cell technology. When used it can restore firmness and luminosity of the skin, improves smoothness, texture and elasticity of skin, while reducing wrinkles and fine lines. No longer do you have to take risks with expensive cosmetic surgeries and procedures like B-o-t-o-x or collagen injection. 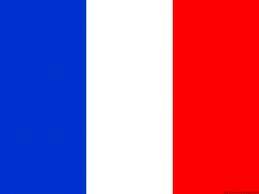 This a far less invasive and non-aggressive solution. It works by restoring the natural protein and growth factor levels of the skin that become depleted with age. This then delays the aging process. 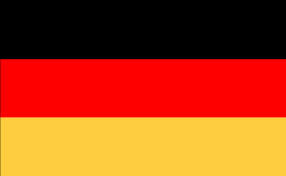 Most importantly it is natural and hypoallergenic-paraben free. 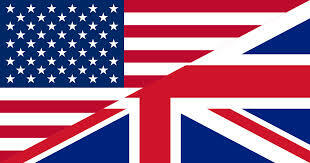 This makes it safer and without side-effects. The Daily moisturizing complex is unisex formula that can be used by anyone of any age or skin type. 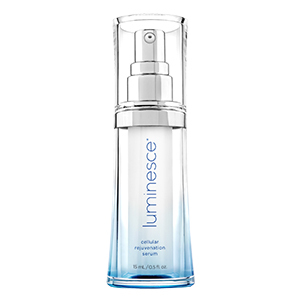 It protects against aging by revitalizing, re-hydrating, and repairing dry skin hydrated around the clock. 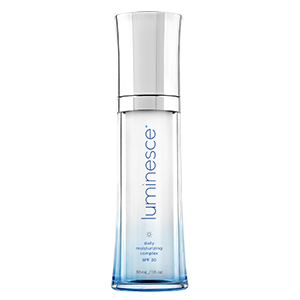 It is the perfect hydrating component for your skin in the LUMINESCE™ product line that when used regularly helps to fight aging of the skin. It contains ingredients that work synergistically to provide immediate 24-hour hydration by being absorbed into skin pores and offers a natural hydrated shield. Fast acting anti-wrinkle effect that reduces wrinkles in just 2 hours by adding volume to skin. Anti-aging content that has 200+ HGF or Human growth factors that replenishes skin and adds natural proteins such as collagen and elastin. It contains no Paraben and has an SPF of 30. 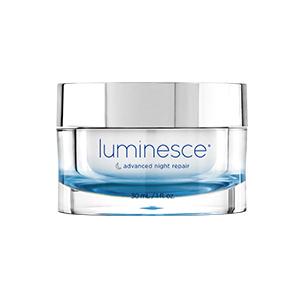 The advanced night repair cream goes to work when you sleep at night. 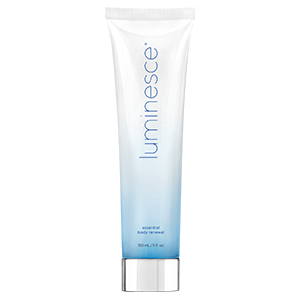 LUMINESCE™ Advanced Night Repair assists in the self-healing process when you’re asleep. It uses patented formula that corrects both environmental and internal causes of damage to the skin, and shields against further damage in the future. It allows you to ‘shed’ your old skin for a new revitalized, well-hydrated and timeless one. Hydration od skin increases by 85% over 2 weeks while wrinkles and fine lines disappear within 2 hours! The yourhful firm and elastic quality of skin is restored. Contains spectrum anti-oxidants and vitamins that protects the cellular membranes against free-radical. Has over 200 human growth factors that replenishes the proteins, elasticin, and collagen. Has ability to delay aging, reduce age spot and even out skin tone while regenerating new skin cells. 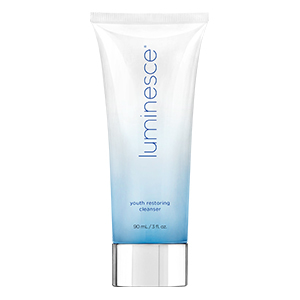 The LUMINESCE™ Youth Restoring Cleanser can take years of your skin. Its a unique facial cleanser that lets your skin preserve its natural coat of hydration while expunging irregularities and impurities from your pores without flushing out the essential nutrients, oils and natural chemicals that supports your skin cells. 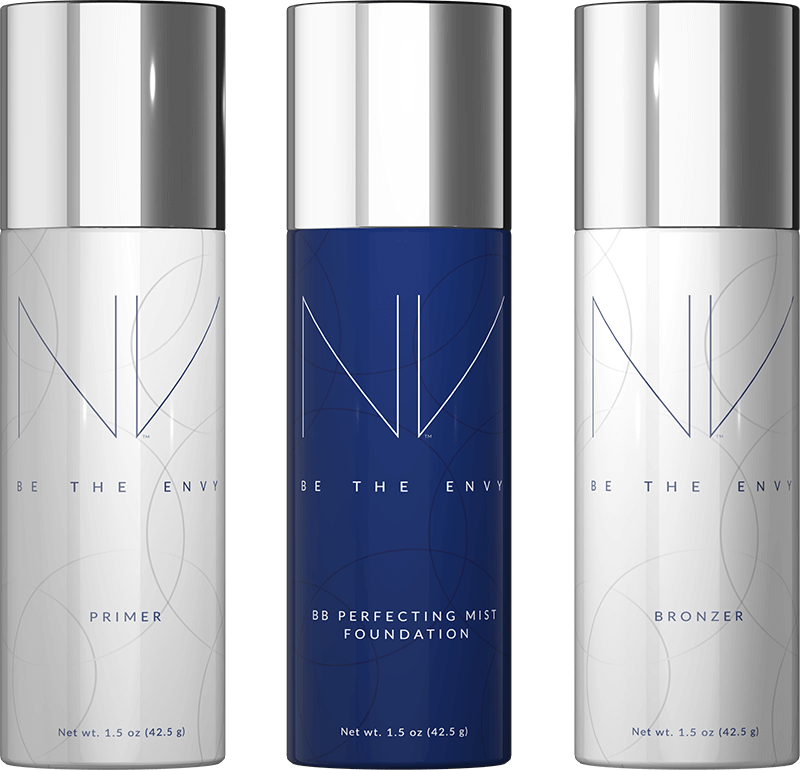 Its is formulated by Dr. Nathan Newman, a world-renowned anti-aging specialist. 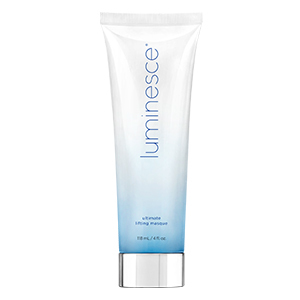 Attain flawless skin with this unique brightening gel. Featuring our exclusive APT-200, this hydrating formula includes ingredients that reduce the appearance hyperpigmentation, refine the look of pores and brighten skin. See visible improvements with this highly effective gel. 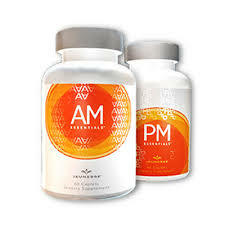 NutriGen™ AM & PM Essentials are unique dietary supplements designed to help you achieve optimal health and slow the symptoms of premature aging. Formulated to provide you with all the vitamins and nutrients your body needs, NutriGen™ AM & PM Essentials contain synergistic blends of special ingredients that help you maintain healthy biorhythms, support critical biological processes, and combat the signs of aging. 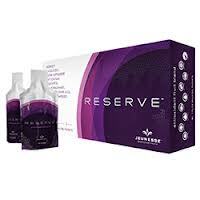 Reserve™ – A blend of Grapes, Acai Berries, Pomegranate, Green Tea, Blueberries, Grapeseed & Aloe Vera Antioxidants that contains Resveratrol to resist cell inflammation, relieve oxidative stress and helps delay premature aging. Anthocyanins in this product help to support improved cardiovascular function. Essential fatty acids in Reserve™ provide support for healthy digestive tract function. Phytosterols will help to support healthy cholesterol levels, healthy immune system support and increased metabolism. FINITI™ contains a proprietary blend of natural nutrients that effectively enhances telomere length and maintains healthy stem cells. It also protects your cells, DNA, and telomeres from oxidative stress. Contains no artificial colors or preservatives. 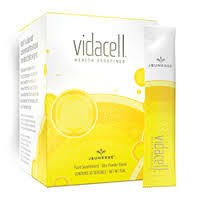 VIDACELL® is a unique, functional food that helps to fight the "cellular aging process" by providing the essential nutrients necessary to protect, repair and renew the body at a cellular level. Instantly Ageless™ is a powerful anti-wrinkle microcream that works quickly and effectively to diminish the visible signs of aging. The revolutionary ingredient is argireline: a peptide that works like B-o-t-o-x—without the needles. Instantly Ageless™ revives the skin and minimizes the appearance of fine lines and pores for a flawless finish. 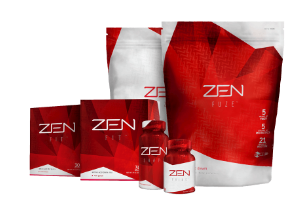 ZEN BODI™ was designed after years of scientific studies with doctors and scientists who have been in the health industry for decades. A proprietary blend of synergistic nutrients, it works by naturally targeting multiple systems in the body. Stop dieting, start living. Unlock the secret of balance with ZEN BODI™. 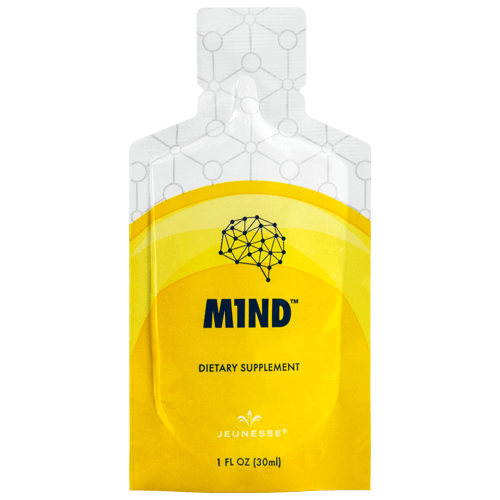 M1ND- featuring CERA-Q™ - is a dietary supplement clinically shown to support memory and reduce mental distraction. Inspired by Eastern medicine, M1ND is a dietary supplement made with L-Theanine, GABA (Gamma-aminobutyric acid), N-Acetyl L-Tyrosine and CERA-Q, clinically proven proteins derived from silkworm cocoons. Open your M1ND with 1 ounce of genius. M1ND...exclusively from Jeunesse. peach-mango, açai-grape, mixed berry. 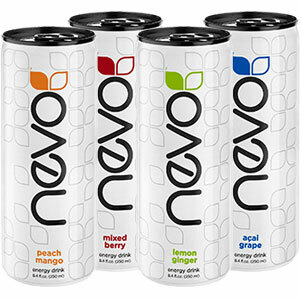 Featuring real fruit juices, Nevo contains only 50 calories per can and no artificial flavors, colors or sweeteners. Skin care you can drink, Naära provides 11,000 mg TruMarine Collagen to help replenish skinâ€™s natural loss of collagen over time. 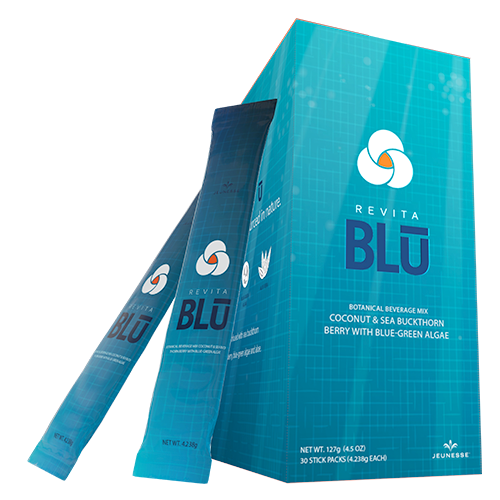 RevitaBlu is a refreshing drink mix that tastes as great as it works. Made of a botanical blend of blue-green algae, sea buckthorn berry and aloe vera with coconut water powder, it revitalize and renew your body. 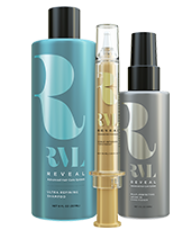 The revolutionary RVL Advanced Hair Care System includes a cleansing shampoo, scalp serum and hydrating leave-in conditioner, all with dermatologist developed HPT-6â„¢, a Jeunesse exclusive polypeptide technology that works to create the perfect shine and flexibility.